I had been feeling that I’d hit a dead end with Helen Low, but Olwen’s comments inspired me to try again – and as it turns out – may have given me THE crucial bit of information I needed. I had found an OR (Old Parish Register) marriage record for James Low and Elspet Robertson, from 1811 in the parish of Kettle. The Fife Family History Society has online a parochial directory for Kettle (1861) which contains information about the various settlements and villages within the parish. 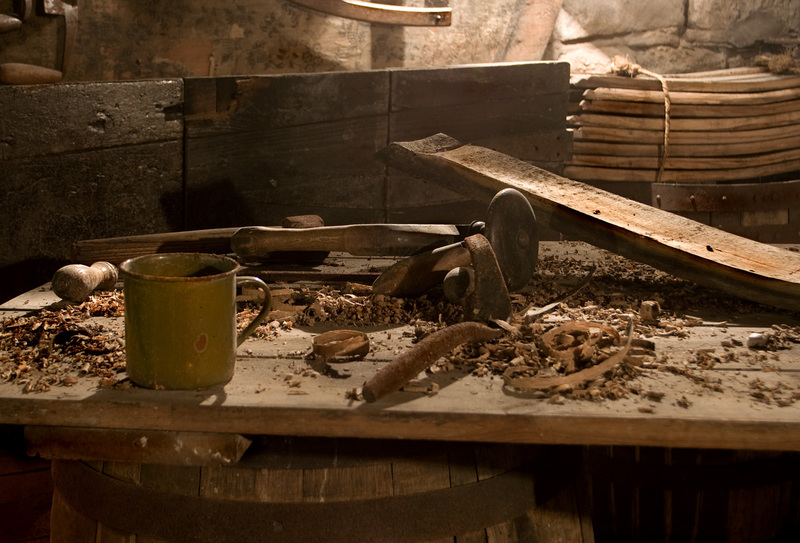 Welltree isn’t mentioned in the text, but within the directory itself, one of the first entries is for a blacksmith named William Birrell — in ‘Welltree, by Freuchie’. I also looked for Joiners and Wrights (James Low’s stated occupations on Helen’s birth and death records). At the time of the directory, there was a Joiner/Wright in Welltree. Not James Low (he would have been at least 70 by then), but with Welltree seeming the most likely address on Helen’s birth record, this was another little piece of information against which to cross-check records. Knowing that James Low and Elspet Robertson married in 1811 meant that I could start to put some parameters on their likely ages and birthdates. Assuming they were at least 16 when they got married (over 20 actually seems to be much more common for the time), I could put their births at before 1795. I also knew that Elspet Robertson bore a child in 1825, and although I’ve found quite a few records of births to women in their 40s amongst my ancestors, I decided that it was unlikely she was born before 1780. James, of course, may have been much older – that was an unknown. I then searched death records for James. I began with the OPR records from 1824 (prior to the birth of their last known child, but after conception would have taken place) to 1854 – when statutory records began. I decided to try deaths in Kettle Parish first and got two matches, one in 1833 and one in 1840. Neither showed the age of the deceased so I decided to try both records. Death record for James Low, Welltree. Source: Scotland’s People. 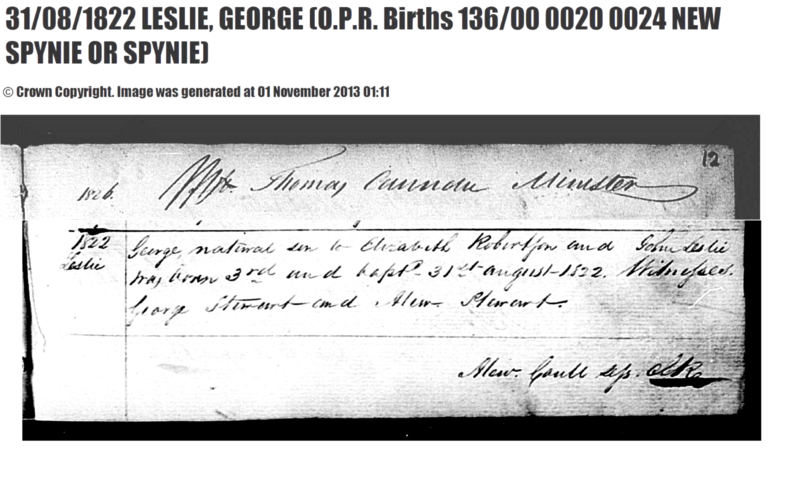 The other record, in 1840, showed the deceased’s age as 17 years, so it seemed most likely that if either of the records was for “my” James Low – it would be the first. Of course, I can’t guarantee that “my” James Low died in 1833 (he may have moved from Kettle Parish and died somewhere else), but based on the age and location, I decided to see if I could find anything else that might support or refute the hypothesis that this was a record for the correct person. I’ve talked quite a lot in the past about the Scottish naming pattern – whereby children were named after family members according to quite clear “rules.” Eldest sons were named after their father’s father; eldest daughters after their mother’s mother; second sons after the mother’s father, etc. 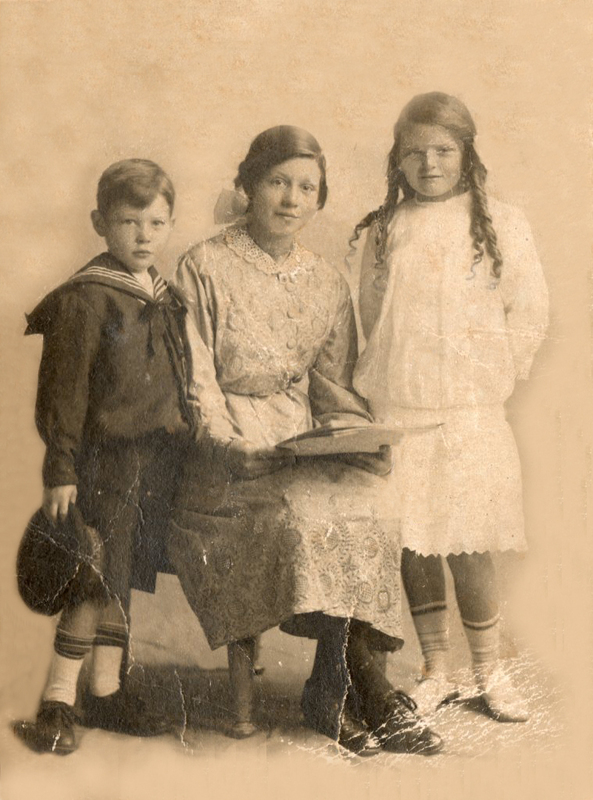 Third children were often given their parent’s name and middle names were given if children were named after someone with a different surname. This was of course just a pattern and naturally not everyone adhered to it. But most branches of my family seem to have done so, and it’s been a really useful tool for hypothesizing grandparents’ names based on knowledge of what the grandchildren are called. In the case of James Low and Elspeth Robertson, I had records of seven children born to them: Michael, Helen, Alexander, Rachel, Elizabeth, James and William. If the Scottish naming pattern had been adhered to, James Low’s father should have been called Michael and his mother Rachel. Similarly, Elspet’s parents would have been called Helen and Alexander. 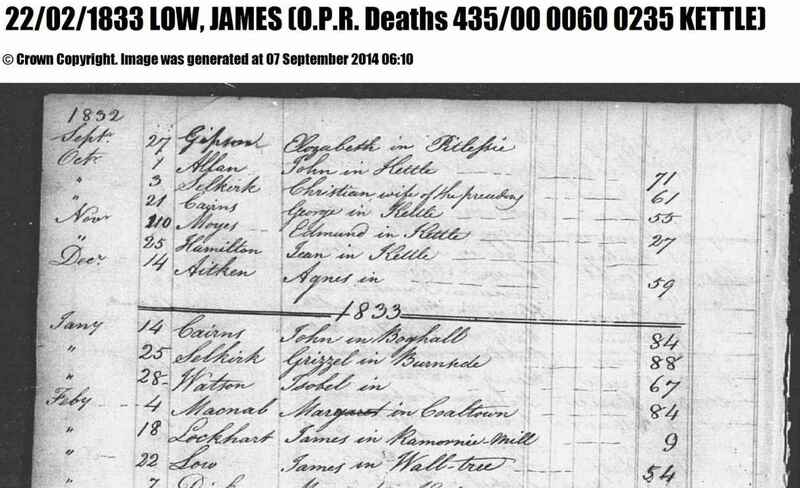 The only James Low I could find born in Scotland between 1760-1795 with parents called Michael and Rachel was born in Kettle, on 19 July 1779 – which would have made him 54 in 1833 (the ages shown on the death record I found above). Taking away the parents’ names filter – I found records for 14 children called James Low born in Fife between 1760-1795 and around 30 born in the neighbouring county of Perthshire. None of those other James Lows had parents called Michael or Rachel. Normally I take the naming pattern with a grain of salt, but Michael and Rachel were unusual names in 18th and 19th century Scotland. For example, in FamilySearch, children born with the first name Michael between 1760 and 1850 returned 2579 hits, compared with 257,973 Williams, 292,902 James’s and 155,268 Alexanders. Similarly there were 6544 Rachels in the time period compared with 216,306 Elizabeths, 423,262 Janes, and 130,318 Isabellas. For that reason I’m inclined to believe that the birth record I found is that of my James Low. 19 July 1779 Low was born James son to Mihil (Michael) in Orkie Cotton and Rachel Stones his wife and was baptised 25th of same and witnessed the congregation. A Fife Family History Society publication listing village and hamlet names in 1838 records both an Orkie (in Freuchie) and an Orkimill (in Kettle). If I were a lawyer building (or trying to refute) a case, I would have to say that most of my evidence is circumstantial. But, frankly, that’s probably the best I’m going to get, so for the time being I am working on the hypothesis that my 4x great grandfather, James Low was born to Michael Low and Rachel Stones on July 19, 1779, became a Wright/Joiner in Weltree, married Elspet Robertson in 1811, fathered (at least) seven children – including my 3x great grandmother Helen Low, and died in Weltree in 1833. If that is the case, he probably lived his entire live within an area of around 2 sq miles. Sitting here, half a world away from the place of my birth, and of James’s, I find myself wondering about the nature of place and identity. But that’s for another day.